If you’re looking for Molina Health Care health insurance quotes, you need not go far. Vista Health Solutions can connect you with leading health insurers in your area. With Vista Health you can find reliable health insurers with quality health plans like Molina Health Care health insurance. We make finding health insurance convenient for you. By entering your zip code you will find all the plans available for you including Molina Health Care health insurance plans. Our site makes it easy for you to compare the plans side by side. And should you need any clarification, you can just call our customer service number and our representatives will gladly assist you. 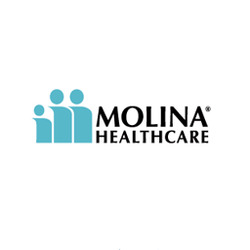 Molina Health Care is a fortune 500 company that delivers health care services through Medicaid, Medicare and the Health Insurance Marketplace. Molina Health Care provides service to over 2.3 million members located in 11 states. Molina Health Care serves a great purpose in our community, as they partner with other organizations that serve health insurance to the low-income population. The company was founded by Dr. C. David Molina in 1980 to bring high quality health insurance to low-income families in South California. Now they continue the mission, providing cost-effective, quality medical care to those who need it more than anyone. Please use the link above to generate an Molina Health Care Instant NY health Insurance quote.